My favorite thing about fashion is how subjective it is, and how much it’s a reflection of your personality. The same piece can look completely different with an easy accessory swap or a swipe of your favorite red lipstick. Oftentimes in the blogosphere, a dress or top or shoe will pop up over and over again in several different gals’ feeds. 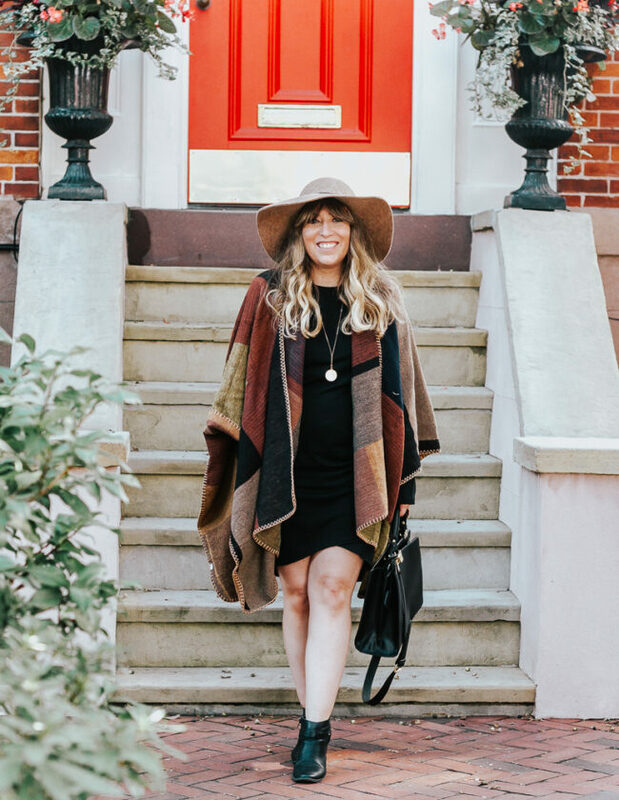 It’s inevitable that we’ll scoop up some of the same chic pieces, of course, but I think we have a responsibility to our readers and other blogger gals to show them off in a different light and challenge ourselves to think a little bit outside the box when it comes to styling. 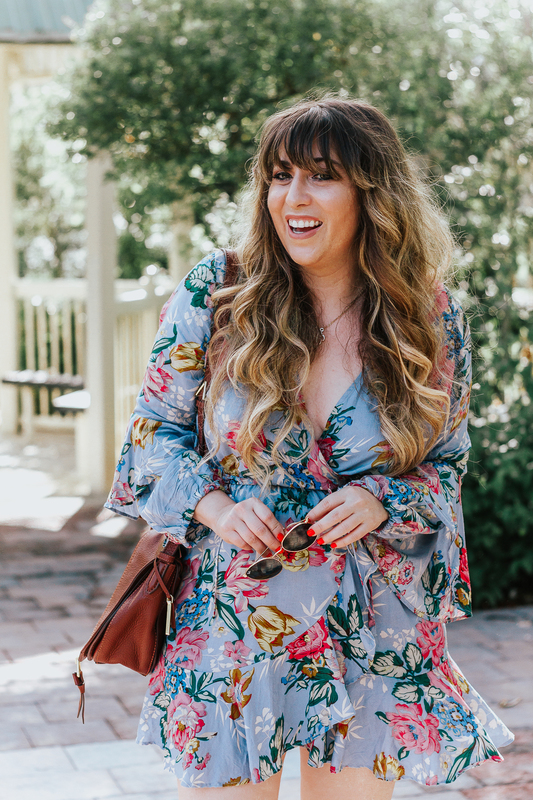 With that in mind, I’m excited for you to check out my take on this little leopard shift dress! I decided to go super casual- I love wearing a Converse sneaker with a dress; it feels so unexpected and fresh. I also wanted to cinch it a little bit at the waist with a jean jacket. I find that, on me, a straight shift dress isn’t always the most flattering. Throwing on a belt or tying something around your waist is a good way to give yourself a little definition. 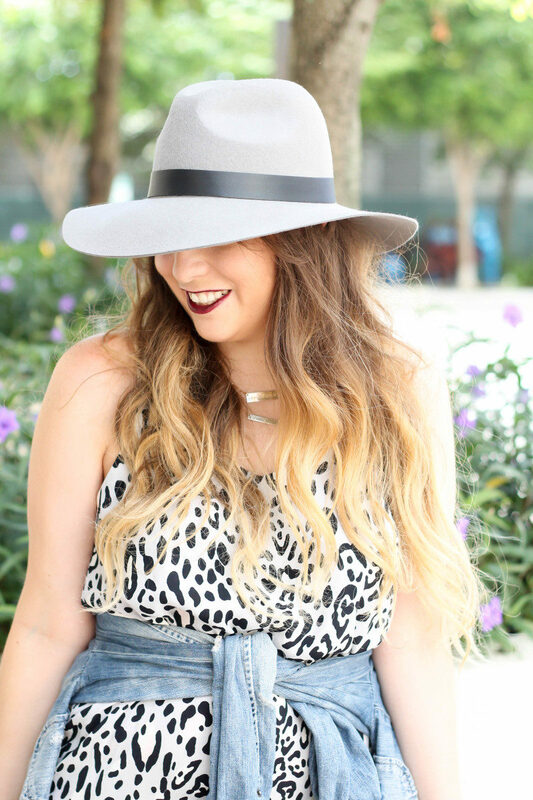 Since it’s “Fall”, I added this amazing gray felt Panama hat and a dark maroon lip. So check it out below! Tell me what you think in the comments! BTW- how would YOU style this dress? Any other great ideas?